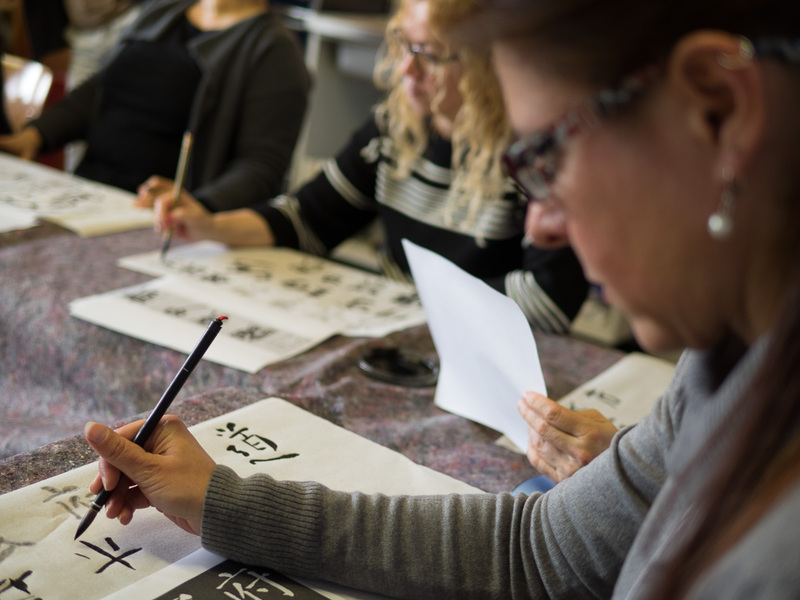 On last Sunday, friends of the Alte Schule had the possibility to challenge themselves with something completely new (at least to most of us) – Chinese Calligraphy! 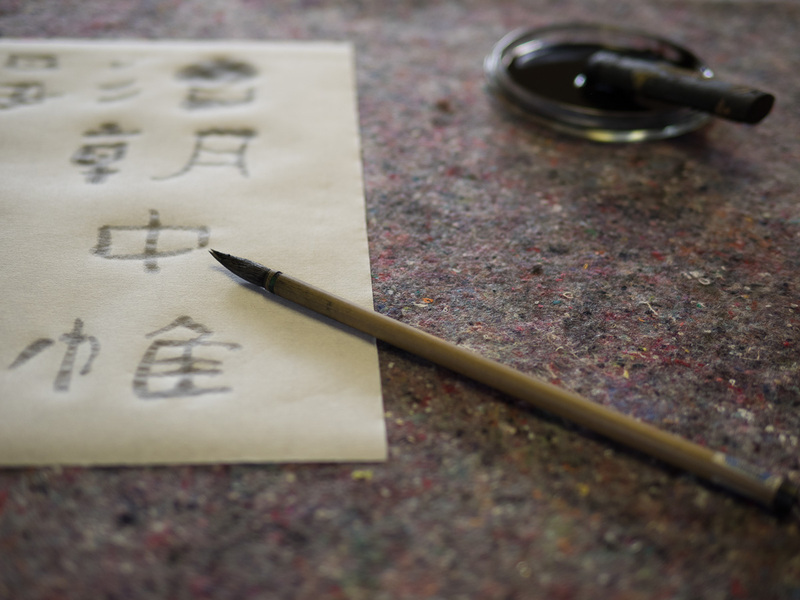 After Song’s short introduction into the world of Chinese Calligraphy and its historical development, we were asked to pick our personal favorite out of a vast number of different styles of calligraphy. We were excited, we wanted to start and bring our quills into position! But, slowly, slowly! 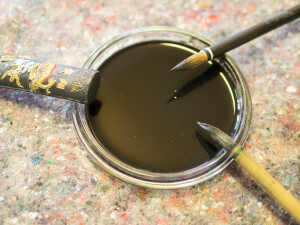 First, we had to mix the ink. This almost meditative act was by no means the last of the day. Having copied our first signs, Song confronted us with the core message of the day: “You have to feel it, dedicate yourself to the flow and transfer your energy onto the signs. A dot does not equal a dot and a line does not equal a line! 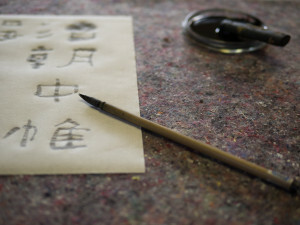 It slowly dawned on us why some Chinese Masters of Calligraphy work on the one perfect line for months. 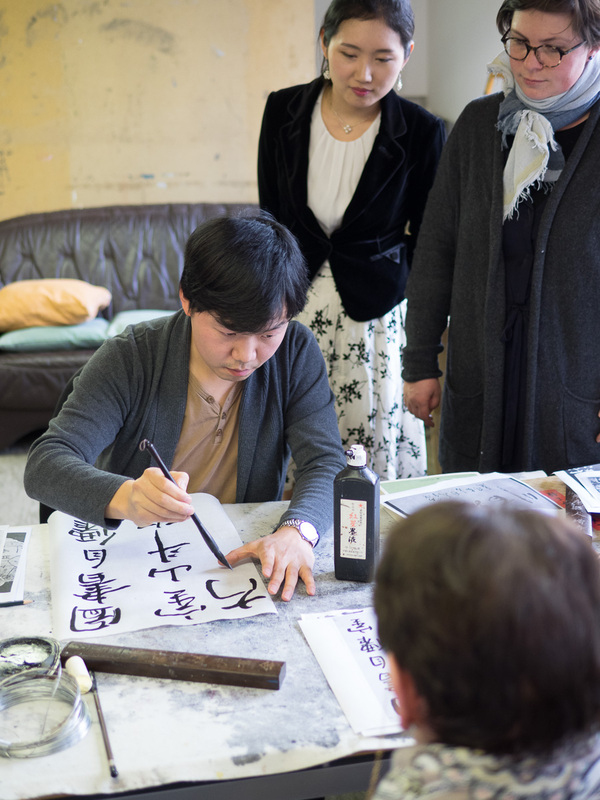 By no means demotivated and invigorated by delicious Jasmine Tea, we generated a considerable output of rice paper elegantly soaked with ink. 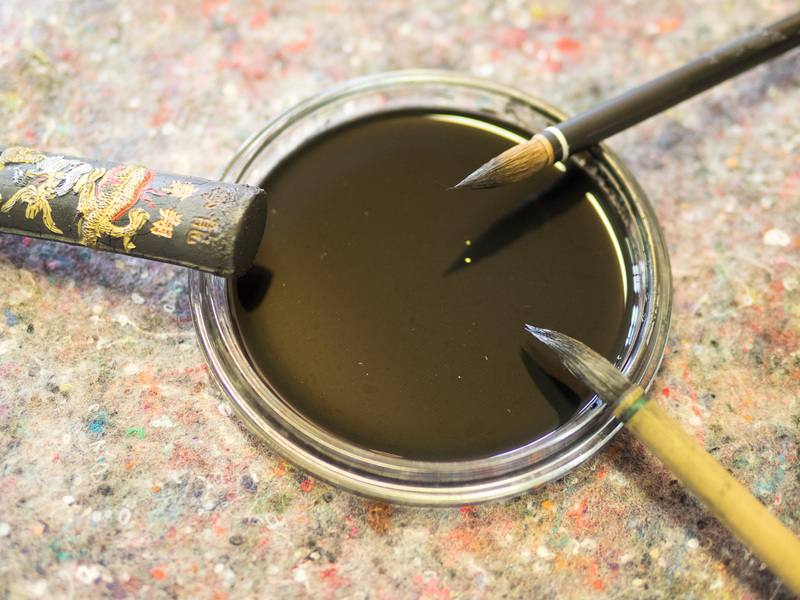 At the end of the day, we were visibly relaxed and one step further on our way to immaculate signs. 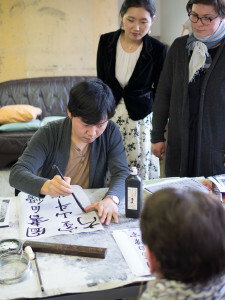 Song, thanks so much for the great experience and the insight into Chinese Calligraphy! Thank you for the Pictures, Georg Schuh.